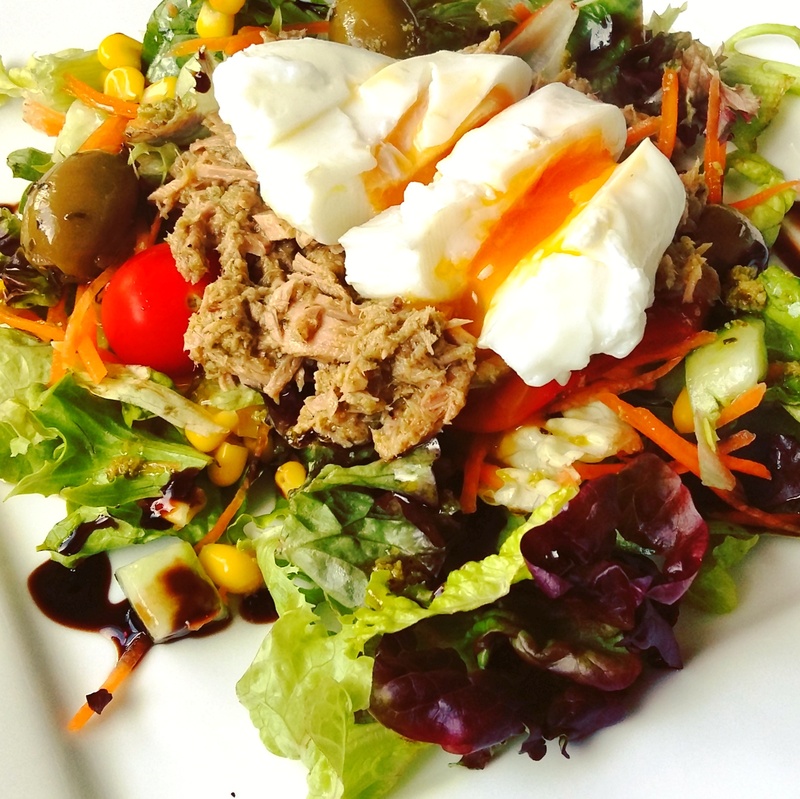 I haven’t had a plain homemade tuna salad for ages! 😮 Probably something to do with the fact that it’s been Winter for what feels like the last 10 years but anyway… I digress… this isn’t a post about the weather…but seriously, doesn’t it feel like Spring has been a long time coming?? Christmas feels like it was ages ago and as soon as the New Year celebrations are over, I am done with Winter and ready for Summer. Oops I’ve done it again… back to the food Tash! Anyway, I had completely forgotten how well green pesto goes with tuna! This is canned tuna (in spring water of course 😉 ) on the salad but even if you were having a tuna steak, drizzling some green pesto mixed with extra virgin olive oil on your steak or directly onto your salad will rock your socks off in my humble opinion anyway! This salad is just scrumptious! Green pesto – 1 tbsp. Done! So simple, so healthy and so tasty! Previous Post Happy Healthy Pancake Stack (the easy way)!